Whether your project requires a grand vision or modest renovation, Mike’s specialty is helping you integrate your entire outdoor living space in ways that you have not yet imagined! The Shih project started out an empty backyard. Mike designed the complete landscape and layered lighting to compliment the Ramada and outdoor kitchen. 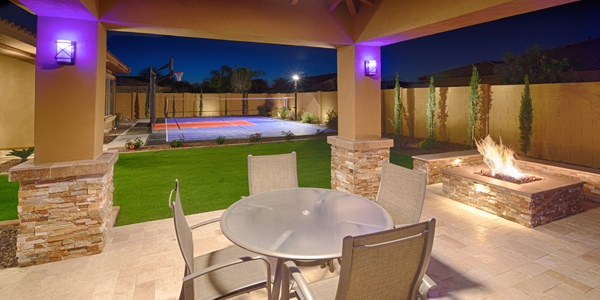 The heart of the backyard is the Ramada and its surrounded by family entertainment areas including a cozy fire pit, putting green with artificial grass and a sports court.